In today’s world, everything is automated. From banks, hospitals, malls, to government agencies and manufacturing. Automation has made many jobs obsolete, but it also made new and more technical jobs. 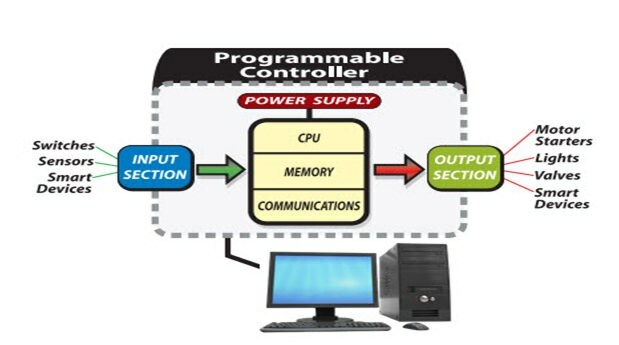 PLC or Programmable Logic Controller programmers has become one of the fastest rising professions in the market today. With everything automated, people who know the technical know-how on how to run and operate these things have experienced rapid growth and opportunity. According to www.indeed.com, a job posting website, PLC programmer in the United States has an average yearly salary of $71,000. PLC or Programmable Logic Controller is an industrial control system that monitors and adjust any decisions based on the pre-programmed logic set by the programmers. Mechanical machines can now perform faster since programmers can easily input the machines specific events to perform. PLC is using a program called Ladder Logic to adjust the machine to process the user’s specification. Many facilities around the world are starting to use PLC in their machines. If their equipment is automated, you can assure that it has used PLC technology. PLC technology is also starting to evolve. It is able to control different things like motion control, process control, power control and process control. Companies are giving programmers, motion controls training to make sure they can keep up with the fast-rising demand for capable programmers that use PLC technology. PLC started in the 60’s when most control rooms are not organized and filled with wires, relays and terminal blocks. In 1968, General Motors executive Bill Stone presented a design for a standard machine controller. This new system will reduce the machine downtime, very expandable, cost-effective and will include full logic capabilities. The term PLC or Programmable Logic Controller was coined by the engineers at Allen-Bradley when they completed their first prototype of PLC. During this time, 7 other companies are competing for customers in the PLC market. Since it is a fast-rising market, more and more companies are starting to see the potential of PLC in the near future. What’s the future for PLC? 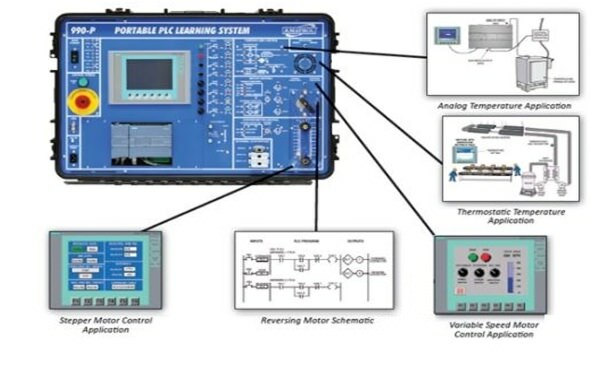 In an article Control Engineering Europe website dating 2013, it is stated that PLC will continue to evolve and develop technologies like Total Solutions where PLC can distribute different tasks based on the capacity and availability of the resources. PLC technology has come a long way. PLC security offers a much better security for unauthorized access than PC. With almost all factories in the world now shifting their facilities to full automation, PLC programmers are very much in demand right now. Motion controls training is being conducted all over the world to make sure programmers can be as competitive as possible. According to Forbes magazine, the robotics industry has seen a rise in their advertisements by 40% in the first 2 months of 2012. Observers say that the trend will keep on rising every year. The future of PLC relies on the development of internet technologies. Newer industries will look for a more flexible, reliable and safe automation technology. Companies are starting to look for better solutions for their industry problems. PLC have to learn how to integrate their system with other components of the industry like electronics, communications, and power. Companies around the world prefer PLC over traditional relay controls since it is easier to maintain, very cost effective and it is easier to troubleshoot in case problems arise. You can also develop programs for PLC offline so you can test if the programs have problems before installing it. It saves money for the company because they can prevent costly errors. And lastly, PLC input and outputs are easier to monitor so the work-flow is much faster and a lot smoother. Although PLC has its advantages, it also has its disadvantages. Since PLC is a skilled-based program, you need a highly skilled programmer to run it. The success of PLC heavily relies on the skills of the programmer. Although troubleshooting PLC is easy, debugging it consumes a lot of time. PLC works with a lot of electrical components like semiconductors that depends on thermal characteristics just like a personal computer. So like a personal computer, it needs a cooler working temperature. You need proper ventilation and constantly checks the working temperature to avoid malfunctions. And lastly, although PLC is cost-effective when it comes to maintenance, the program itself is not cheap. As the world starts to become more reliant on automation, PLC will continue to grow. The demand for programmers will rise at a steady pace. As of the moment, colleges are now offering PLC programming courses to students who want to earn $50-70,000 a year. If you search www.careerbuilder.com, you can see that PLC generates 1,217 jobs in the United States alone.